At Bridgelux, they help companies, industries and people experience the power and possibility of light. Since 2002, Bridgelux designed solid-state lighting solutions that are high performance, energy efficient, cost effective and easy to integrate. As the main focus from Bridgelux is on LED engines used in spot light, down light, shop light and track light luminaires, this makes a perfect fit with the DNA of MechaTronix to make standard LED coolers off-the-shelf available. To understand the thermal performances of the Bridgelux Décor Series® we have to lead you a bit deeper in the specifics of LED light conversion. The thermal losses of a LED engine are strongly depending on the CCT color and the CRI of the design. In general the higher the CCT value (colder), the less power is converted to heat, while the higher the CRI level, the higher the thermal losses are going to be. Since the Bridgelux Décor Series® is designed to offer application-specific color points, its thermal behavior varies drastically among the models. 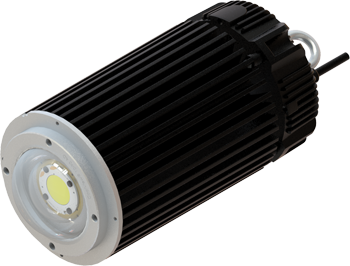 The Décor Street and Landmark LED modules are developed with a low CRI level of 65 and an ultra-warm CCT color of 2000 Kelvin. The Décor Class A and Décor Ultra unlike are developed from a perspective of best human response in light quality, with a high CRI of respectively 93 and 97. At MechaTronix we have tested each module in combination with a wide variety of suitable LED coolers and publish the data for you as a designer. In this way you can perfectly predict what the final temperature of your design will become. Most of our LED coolers are either foreseen for direct fitting of the Bridgelux LED engines like the Bridgelux Vero, Vero SE and Décor series, while others are mounted with the matching LED holder (ref. BJB, TE Connectivity, Bender Wirth) like the Bridgelux V Series and the Vesta® Dim-To-Warm and Tunable White LED engines. For the vast majority of Bridgelux LED engines we recommend to use our CoolStar® designer star shaped led coolers. The CoolStar® diameter 67mm and 86mm are specially foreseen from closed wire pockets at each side, allowing you to guide the output wires of your Bridgelux LED module from the LED engine to the back of the luminaire outside of the visible field. The high-end looks of the CoolStar® match perfectly with the applications targeted by use of the Bridgelux LED engines. When you want to design a LED high bay with outstanding light performances, the Bridgelux Vero® 29 or Vero® SE 29 LED modules are for sure worth a recommendation. With a big variety in CCT levels and CRI levels, luminous outputs ranging from 11.000 lumen all the way up to 19.000 lumen, these LED modules deliver what you expect. Of course the lifetime of a high bay is only as good as its thermal management on the LED module and on the driver. Therefore MechaTronix has developed the patented CoolBay® Giga LED cooler, foreseen from the high-performance CoolTube® heat transfer column in the center. The CoolBay® Giga has an exceptional thermal performance of 0.34K/W, making it suitable for high bay designs up to 29.000 lumen! The cooler is developed in this way that the outer diameter fits with the diameter and looks of the power-wise matching circular LED drivers like the Mean Well HBG-160 or the Inventronics EUR-150 and EUR -200. Specific driver mounting bars guarantee that there is sufficient distance between the LED cooler and the LED driver, to make sure the LED driver doesn’t get extra heat from the LED engine which would lead to a reduced life time. A wide variety of anti-glare lenses can be matched with the Bridgelux LED engine.